Kate Marshall provided this photo taken in the playground on a summer's day. My mother Joan Woods is middle bottom in photo, if anyone knows anyone else or knew my mother please get in touch? Also see Kate's request regarding the Woods family. 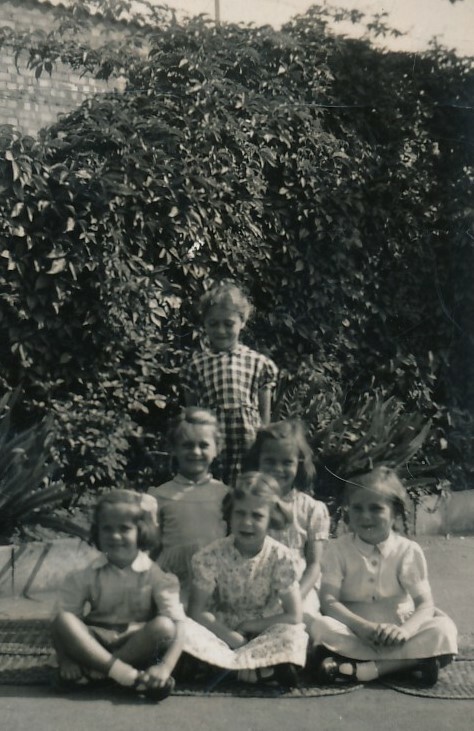 This site has several other school photos, including one where the floor mats are identical! An external site has a rare 1938 aerial view of the school provided by Jim Lawes.